When you’re looking for adidas shin guards to protect your legs on the field, get them from soccerloco, your premier destination for soccer equipment, apparel, cleats and more for all kinds of players and fans. 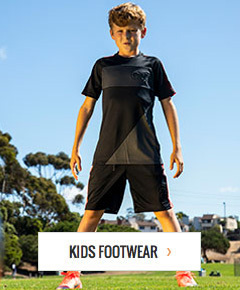 Do you know a young soccer star who could use a new pair of adidas youth soccer shin guards? soccerloco has adidas soccer shin guards for everyone, all built from high-quality materials and precise designs. We’ve even got adidas shin guard straps to keep your existing guards secure if they’re feeling a bit loose. Get your next adidas shin guard now from soccerloco to save big on first-rate equipment from a trusted name in the industry. At soccerloco, all of our adidas soccer shin guards are built to high standards of excellence with expert design and reliable materials. We have adidas youth soccer shin guards and adult shin guards with built-in ankle protection for defensive players who players who just want extra shielding. If you prefer a slip-in adidas shin guard but also wear short socks or just want some extra snugness, we carry adidas shin guard straps to help keep everything in place during the game. Some of our slip-in adidas shin guards feature graphics designed to honor some of the game’s best club teams like La Liga’s Real Madrid so you can celebrate your favorite team while you play or practice. All of the guards you find here are solid pieces that offer great protection and, because you’re shopping soccerloco, you know you’ll get a great deal. When you shop for adidas shin guards at soccerloco, you’ll quickly see why we’re the leading online retailer of all things soccer. It’s not just our huge selection of adidas soccer shin guards at the web’s lowest prices, we also bring you great deals to keep the savings going and make your shopping experience the best it can be. When you order an adidas shin guard from soccerloco, you can get flat-rate shipping for orders anywhere in the continental US. We also offer no-hassle returns if you’re unsatisfied for any reason. Shop with us today, to get the adidas shin guard straps, adidas youth soccer shin guards, or any other kind of soccer gear you need from the premier online soccer shop.